1868-1941 Immanuel (later changed to Emanuel) Lasker was born at 3 p.m. at No. 7 Chmielna Street in Berlinchen in Neumark (now Barlinek, Poland as of 1945), the Prussian province of Brandenberg, on December 24, 1868. The small town is about 140 miles from Berlin. He was the second son of Michaelis Aaron Lasker (1831-1901) who later changed his name to Adolf, a Jewish cantor (musician that leads the congregation in songful prayer) at a small synagogue. He was also a carpenter. Emanuel's mother was Rosalie Israelssohn Lasker (1833-1906) (source: Linder, Emanuel Lasker: Second World Champion, 2010). Adolf and Rosalie were married in 1860. Emanuel had an older brother, Jonathan Berthold (born Dec 31, 1860 and died in 1928), and two sisters, Theophilia Hedwig Lasker (1862-1943) and Amalia Thekla (1865-1939). Theophilia died in a Nazi gas chamber. In 1879, at the age of 11, Emanuel was sent to Berlin to attend school. His brother, Berthold, was living in Berlin and had just graduated from the Friedrichswerdersches Gynnasium and was about to attend medical school. In Berlin, Emanuel displayed unusual mathematical abilities and wanted to be a mathematician. His father wanted him to be a cantor. Emanuel studied the Talmud with his father and his grandfather, a rabbi. Emanuel Lasker was accepted into one of Berlin's best high schools and was advanced two class years ahead of his peers after scoring very high on all his exams. Soon, however, Emanuel fell ill with measles and had to be sent to a hospital. It was this period that Berthold began teaching Emanuel how to play chess to help Emanuel pass the time while in the hospital. On of Emanuel's first books was Kleines Lehbuch des Scachspiels (Small Textbook of Chess), by Jean Dufresne (1829-1893). �In the early 1880s, Emanuel began visiting the "Tea Salon" in the central city of Berlin with his brother. Berthold was making extra money by hustling chess or cards) and Emanuel observed chess play at the master level for the first time. It was here that Emanuel first met and played Siegbert Tarrasch (1862-1934), who was a medical student in Berlin (he later entered the University of Halle). Tarrasch was also a daily visitor of the Caf� Kaiserhof, and the two of them played chess against each other, with Tarrasch giving odds of a knight. Berthold and Emanuel Lasker use to play chess for money at the Caf� Royal in Berlin, but they were later banned. The owner thought two Laskers were too many and they did not leave the other guest any hope of winning from time to time. The Laskers also played chess at the Caf� Bauer. In 1881, Berthold Lasker entered medical school at Humboldt University in Berlin. In 1884 Emanuel Lasker became a serious chess player. He was soon a frequent visitor at the Cafe Kaiserhof, where one could play chess and cards for small stakes. In 1885, Emanuel Lasker was spending so much time studying and playing chess in Berlin, that is parents told Berthold to find another school for Emanuel. Berthold did find a new school for Emanuel, in the small town of Landsberg-on-the-Warthe, Prussia (now Gorzow Wielkopolski, Poland). However, the head of the new school was president of the local chess club and Lasker's math teacher, Professor Georg Kevitz (Kewitz or Kewitsch), was the local chess champion and president of the Landsberg Chess Club. This encouraged Emanuel even more to play chess. Emanuel Lasker stayed with a friend of the family, named Cohen. Lasker was not supposed to enter the Landsberg Chess Club because he was too young, but he played 'secret' matches against several of the members. In 1888, Berthold had graduated from the University of Berlin Medical School and moved to Elberfeld (now part of the city of Wuppertal), Germany to set up his medical practice as an obstetrician. He then ran a flourishing dermatological clinic on the Alexanderplatz in Berlin. �In the spring of 1888, Emanuel finished high school at Landsberg and returned home for Easter. He then went to Berlin and became a student of the Mathematics and Philosophical Faculty at Berlin University, where he studies mathematics and philosophy. One supporter of Lasker was Jakob Bamberger (1822-1907), a banker, who sent Emanuel 10 marks every month. Years later, Emanuel married Jackob's daughter, Martha (born Nov 19, 1867 in Berlin). Lasker did not marry until he was 42 and Martha, age 43, had been a widow with a grown child. �In July 1889, he gained the German master title (Deutsche Schachmeister) in the Hauptturnier A section of the German Chess League at Breslau. Tarrasch won the International Masters' section. This was part of the 6th Congress of the German Chess Federation (DSB). Lasker won this tournament by accident. Another competitor, Emil Ritter von Feyerfeil (died Feb 28, 1917), had lost his final game to Paul Lipke (1870-1955) after 121 moves. If von Feyerfeil would have drawn or won, he would have won the event and the master title. It was later discovered that one of his pawns was knocked off the board just before sealing the adjourned move. They had sealed a position (rook + knight + pawn against 2 bishops + knight + 2 pawns) with a missing pawn that would have given Von Feyerfeil a drawing or winning game. Lasker, who told his brother that he would give up serious chess if he did not win, won the event and the master title. Lasker won the Hauptturnier 1 section with 7 wins and 2 draws. He tied in the final section (with von Feyerfeil) with 4 wins and 2 losses. In the play-off, Lasker beat von Feyerfeil. �After winning his master title, he was invited to the master tourney in Amsterdam, where he took 2nd, behind Amos Burn (1848-1925). The event was held Aug 26-31, 1889. Lasker won 5, drew 2, and lost 1. It was the 20-year old Lasker's first foreign chess tournament. �In November 1889, Lasker defeated Curt von Bardeleben (1861-1924) in a public match in Berlin. Lasker won 2, drew1, and lost 1. �In February 1890, Lasker defeated Henry Bird (1830-1908) in a match, held at the Liverpool Chess Club. Lasker won 7, drew 3, and lost 2. At the time, Lasker was relatively unknown in England. �In March 1890, Lasker defeated Nicholas Miniati (1860-1909) in a match held in Manchester. He won 3, drew 2, with no losses. On July 26, 1890, Emanuel Lasker and his brother, Berthold Lasker, tied at a tournament in Berlin. Emanuel Lasker's score was 5 wins, 1 draw, and 1 loss. Emanuel than had a play-off with his brother and won with 1 win and 1 draw. In one of the rounds Lasker, having plenty of time, left the playing hall for 37 minutes during his game with Curt von Bardeleben. Upon returning, he took his seat, and then played his final move in what is described as a "difficult" position. Bardeleben took great exception to this, and immediately raised a protest. Bardeleben accused Lasker of cheating and wanted the entire game replayed, a suggestion which Lasker refused. Lasker's behavior was found correct, and play was to continue. Instead, Bardeleben thought himself forced to withdraw from the tournament, forfeiting has last 3 games. Meanwhile, Max Harmonist (1864-1907), a royal ballet dancer, was at the next table trying to play his game during the protest. Harmonist then made a gross blunder and lost. He protested, saying he was too distracted with the Lasker-Bardeleben protest next to his table. He tried to appeal his loss, but the loss stood. Harmonist then withdrew, forfeiting has last 2 games. On September 6, 1890, Lasker, age 21, took 3rd at Graz, Austria, behind Gyula Makovetz (1860-1903) and Johann Bauer (1861-1891). Lasker won 3, drew 2, and lost 1. He won 126 florin for 3rd place. �In 1890, Lasker defeated Berthold Englisch (1851-1897) in a match, held in Vienna. He won 2, drew 3, and lost none. In July 1891, Lasker went to London at the request of the director of a new German commercial exposition. Lasker was to run a chess pavilion at the German Exhibition in London, which closed in October 1891. He accepted the invitation so that he could make enough money for his sisters to move to Berlin. In 1891, he defeated English chess master Francis Joseph Lee (1857-1909) in London with 1 win, 1 draw, and no losses. On March 18, 1892, Lasker finished 1st at the 7th British Chess Association Tournament, held in London. He won 8, drew 2, and lost 1 (to Bird, who played the Bird's Opening against Lasker). He finished 1.5 points ahead of second place prize winner — James Mason (1849-1905). Joseph Blackburne objected to inviting a German master to this national event. He boycotted the event and did not play. On April 6, 1892, Lasker won the British Chess Club Invitational with 5 wins, 3 draws, and no losses. The event has held in London. Blackburne took 2nd, followed by James Mason. In June 1892, Lasker, age 24, defeated Henry Blackburne, age 50, in a match held in London. Lasker won 6, drew 4, and lost none. Blackburne later defeated Lasker at Hastings in 1895, and in London in 1899. From August 15, 1892, to July 1893, Lasker published his first chess magazine, 19 issues of The London Chess Fortnightly chess magazine. In the first issue, he proposed to inaugurate a correspondence chess tournament for ladies only. This would have been the first of its kind, but nothing came of this. In September 1892, Lasker defeated Henry Bird in a match, held at Newcastle-on-Tyne. Lasker won 5-0. During the two years that Lasker stayed in London, Lasker lost only one game (to Bird) in four events against the strongest masters in the country. It gave him confidence to try to play for the world championship. Lasker moved to New York in 1892 in hopes of playing Wilhelm Steinitz for the world chess championship. On October 7, 1892, Lasker visited the Brooklyn Chess Club at 201 Montague Street. In November 1892, Lasker visited Montreal for two weeks and gave two simultaneous exhibitions. He also played a number of single games against the best local players. 1. On January 11, 1893, Lasker left New York for Havana to play in a Cuban chess carnival. On February 12, 1893, Carl Walbrodt arrived in Havana to play a match with Lasker. Lasker declined Walbrodt's challenge. On April 26, 1893, Lasker defeated Jackson Whipps Showalter in a match held in Kokomo, Indiana. Lasker won 6, drew 2, and lost 2. Lasker received $375 for his efforts. In June 1893, Lasker gave several simultaneous exhibitions in Chicago while visiting the world's fair. On August 15, 1893, the last issue of Lasker's The London Chess Fortnightly was published. On September 1, 1893, Lasker challenged reigning world champion William Steinitz for a chess match. The first player to win 10 games would be declared the winner. Steinitz publicly spoke of retiring, but he needed the money and changed his mind. Initially Lasker wanted to play for $5,000 a side and a match was agreed at stakes of $3,000 a side, but Steinitz agreed to a series of reductions when Lasker found it difficult to raise the money, and the final figure was $2,000 each, which was less than for some of Steinitz's earlier matches. The final combined stake of $4,000 would be worth about $500,000 in today's currency. In September 1893, Lasker won all his games (13-0) at the Manhattan Chess Club in New York. On January 15, 1894, Berthold Lasker married Elisabeth (Else) Schuler (1869-1945), a famous poet, writer, and artist, in 1894. They moved to 15 Bruckenstrasse in Berlin where she trained as an artist. She later divorced him on April 11, 1903. Berthold later married to Regina Rosalie Cassriel (1868-1928). �On March 15, 1894 Lasker began his world chess championship match with William (Wilhelm) Steinitz in New York. It was the 5th official world chess championship match. The referee for the match was John Washington Baird (1852-1917), who negotiated the contract of the two players. On May 26, 1894, he defeated Steinitz (10 wins, 4 draws, 5 losses) for the world championship. The match was held in New York (games 1-8), the Franklin Chess Club in Philadelphia (games 9-11), and Montreal (games 12-19). At one point, Lasker won 5 games in a row (games 7 through 11). Lasker became the second official world chess champion and held the title from 1894 to 1921 (27 years). After the final game of the match, Steinitz stood up and shouted: "Three cheers for the new world champion!" Lasker was 25 and Steinitz was 58. Lasker received $2,000 for his efforts. In late 1894, Lasker returned to Germany. There, he contracted typhoid fever and almost died. (Henry Buckle died of typhoid fever in 1862 and Samuel Boden died of typhoid fever in 1882). �In 1895, Emanuel Lasker moved back to England, this time as world chess champion. He first lived in London. He later moved to Manchester where he wrote a chess column for the local newspaper, gave lectures at the Manchester Chess Club, and performed simuls. In March 1895, Lasker established himself at 8 King and William Street in London where he formed classes for chess instruction. He gave his first chess lecture on March 4, 1895. (source: Brooklyn Daily Eagle, Mar 28, 1895). In the spring of 1895, Lasker gave a series of chess lectures in London. The 12 lectures were later published as Common Sense in Chess. In August 1895, Lasker published "Metrical Relations of Plane Spaces of n Manifordness in Nature magazine (Nature, vol. 52, August 8, 1895, pp. 340-343). He wrote the paper in the spa town, Ilkley, in West Yorkshire, in Northern England on July 9, 1895. In August-September 1895, world champion Lasker came in 3rd place (behind Pillsbury and Chigorin) at Hastings, still suffering the after-effects of typhoid fever, which he had caught earlier. Lasker won 13, drew 3, and lost 4. In October 1895, Lasker published "About a certain Class of Curved Lines in Space of n Manifoldness" in Nature magazine (Nature, vol. 52, Oct 17, 1895, p 596). He wrote the paper in London on September 6, 1895. In December 1895, Lasker traveled to St. Petersburg to play in an international tournament. In February 1896, Lasker gave a 19-board simultaneous exhibition in Moscow, winning 18 and losing 1. �In 1896 he wrote Common Sense in Chess, based on a series of 12 chess lectures that he gave in London. The German edition was published in 1896 and the English edition was published in 1897. In May 1896, Lasker wrote "An Essay on the Geometrical Calculus," which was published in the Proceeding of the London Mathematical Society, November 1896, pp. 217-260, and p. 560. �In August 1896, Lasker won at Nuremberg with 12 wins, 3 draws, and 3 losses. He was followed by Maroczy, Pillsbury, and Tarrasch. On September 25, 1896, the Divan Chess Association was formed in London. It was organized by Emanuel Lasker, its resident chess master. On November 7, 1896, Lasker began his return match against William Steinitz in Moscow. The first person with 10 wins would be declared the winner. In the interval between the two world championship matches, they played each other 8 times in three tournaments: Hastings 1895, St. Petersburg 1895/96, and Nuremberg 1896. Lasker won 5, drew 2, and lost 1 against Steinitz. During the fourth game, Steinitz was complaining of a headache and held a bag of ice cubes against his head. After the 6th game, there was a pause for 10 days. After 11 games, the score was 7:0 in wins for Lasker. After game 16, there was a pause for 12 days. On January 14, 1897, Lasker defeated Steinitz in the return world championship (6th official world chess championship) match held in Moscow in 1896-97 with 10 wins, 5 draws, and 2 losses. �In 1897 Lasker enrolled at Heidelberg University and transferred to Erlangen University in 1900. �In 1898, Lasker gave many simultaneous exhibitions throughout the Netherlands. �In June-July 1899, Emanuel Lasker took 1st place in London, 4 points ahead of the rest.� He won 20, drew 7, lost 1 and took the 1st place money of $1,250.� His loss was to Blackburne.� It was the first time a British player defeated a reigning world champion. The tournament was held at St. Stephens' Hall, Westminster, London. Lasker was called the title of both match and tournament champion of the world. On August 24, 1899, Paul Lasker (1899-1927), son of Berthold and Else Lasker, was born. He died of tuberculosis in Berlin on December 14, 1927. Else denied that the father was Berthold. �In June 1900, Lasker won at Paris with 14 wins, 1 draw, and 1 loss (to Frank Marshall). �In 1900, on the advice of Dr. David Hilbert (1862-1943), Lasker registered for doctoral studies at Erlangen. He studied under Dr. Max Noether (1844-1921), the father of Emmy Noether. In 1901, his father died in Berlinchen. In June 1901, Lasker returned to England. In 1901, Lasker wrote a chess column in the Manchester Evening News. In 1901 Lasker was a mathematics lecturer at Victoria University in Manchester, England. Lasker was unable to secure a longer-term position at the university. On December 13, 1901, Lasker defeated Dawid Janowski (1868-1927) in a match held in Manchester. Lasker won 1 game and drew 1 game, with no losses. From 1901 to 1914, Lasker played in only three chess tournaments. He demanded high appearance fees that tournament organizers could not afford. Lasker was also using his time to study mathematics and philosophy. Lasker went to a Wiesbaden resort for some rest. He played chess with the director the Hessisches Staatstheater Wiesbaden opera theater and attended his opera productions regularly. At the time, he was quite interested in the theater. In March 1902, Lasker moved to New York because he thought he would have better professional options there as a mathematician. Lasker applied to Columbia University for a teaching position, but was refused. �From April to June 1902, Lasker gave simultaneous exhibitions throughout the United States. �In 1902, Lasker met Martha (Marta) Cohn at the home of Ludwig Metzger, editor of the Berliner Lokalanzeiger newspaper. Martha was an employee of the newspaper, and had no interest in mathematics, philosophy, or chess. She said that chess must be terribly boring and was not to her tastes. Martha's husband, Emil, an owner of a piano factory, died in 1910 and Emanuel married Martha in 1911. �On October 13, 1902, Lasker arrived in New York and announced that he would be making a tour of America under the management of Walter Penn Shipley of Philadelphia. Lasker's former manager, Emil Kemeny (1860-1925), retired from active chess. On November 3, 1902, Lasker began an 8-day stay in Philadelphia, taking part in simultaneous exhibitions, consultation games, and various off-hand games. In June 1903, Lasker left New York for Germany. In 1903, Lasker lost a Rice Gambit match against Mikhail Chigorin (1850-1908), held in Brighton. Lasker won 1, drew 3, and lost 2. In 1903, the St. Petersburg Chess Club offered to sponsor a world championship match between Lasker and Chigorin, but Lasker declined. On April 15, 1904, Lasker arrived in New York on the S.S. Pretoria to play in the Cambridge Springs International Tournament. A visit to the White House at Washington was on the original program, but that had been abandoned. In April-May 1904, Lasker played at Cambridge Springs, Pennsylvania. The other participants were Marshall, Janowski, Marco, Showalter, Schlechter, Chigorin, Mieses, Pillsbury, Fox, Teichmann, Lawrencem Napier, Barry, Hodges, and Delmar. Geza Maroczy was invited, but he telegraphed that the authorities of the university where he is a Professor of Mathematics could not give him leave for the necessary period of absence (source: British Chess Magazine, May 1904, p. 191). Samuel Lipschuetz (1863-1905) was invited, but he had to withdraw his entry on advice from his doctor in view of the severe strain on his lungs for such an event. Siegbert Tarrasch was invited, but he was busy as a medical doctor and was avoiding chess tournament in which Emanuel Lasker was participating. They would not face each other until St. Petersburg 1914. World champion Lasker, travelling from Berlin, had not played in a chess tournament in four years. His last tournament was Paris in May-June 1900, which he won with 14 wins, 1 draw, and 1 loss. He would not play in another chess tournament after Cambridge Springs for another 5 years (St. Petersburg 1909), which he tied for 1st with Rubinstein. Lasker took 2nd place (tied with David Janowski), behind Frank Marshall. Lasker won 9, drew 4, and lost 2. Lasker and Janowski (both 35 years old) tied for 2nd-3rd with 11 out of 15. Lasker lost to Schlechter and Pillsbury in round 6. Lasker and Janowski players split $900. Baron Albert Salomon Anselm Freiherr von Rothschild (1844-1911) contributed $100 in brilliancy prizes. First prize ($40) went to Carl Schlechter for his win against Lasker. In October 1904, Siegbert Tarrasch challenged Lasker to a world championship match, sponsored by the Moscow Chess Club. Later, Tarrasch called off the match, saying that he injured himself while ice skating, and considered himself unfit to play a match against Lasker. �In November 1904, Lasker started Lasker's Chess Magazine. It ran until 1907 in 8 volumes. Lasker also wrote a chess column in the New York Evening Post. In 1905, Lasker had his publishing company at the Morton Building, 116 Nassau Street in Manhattan. In April 1905, Lasker played 25 games at the Dyker Heights Chess Club in Brooklyn, winning them all. In May 1905, Lasker played 19 games at the Mercantile Library Association in Philadelphia, winning 15, drawing 3, and losing 1 (to Sydney Sharp). In May 1905, Volume 2, No. 1 of Lasker's Chess magazine was published. �In 1905 Lasker introduced the notion of a primary ideal (ring theory), and proved the primary decomposition theorem for an ideal of a polynomial ring in terms of primary ideals. This proof was published in volume 60 of Mathematische Annalen in 1905. His paper was entitled Zur Theorie der Moduln and Ideale ('On the theor of modules and ideals'). This is now known as the Lasker-Noether theorem. Emmy Noether (1882-1935) was a distinguished lady mathematician from Gottingen who refined Lasker's work on polynomial rings in 1919. She built an abstract theory which developed ring theory into a major mathematical topic. A communitive ring R is now called a Lasker ring if every ideal of R can be represented as an intersection of a finite number of primary ideals. A theorem in the theory of vector spaces is known as the Lasker theorem. His work provided the foundation of modern algebraic geometry. In 1906, Lasker was living on Sackett Street in Brooklyn. In 1906, Geza Maroczy challenged Lasker for a world championship match, but withdrew from his contract in September 1906. Maroczy agreed to terms for a World Championship match with Dr. Lasker, but there were political problems in Cuba, where the match was to be played. Furthermore, Maroczy failed to make the $500 deposit by the deadline and the negotiations ended. In 1906 Lasker became secretary of the Rice Gambit Association. On April 6, 1906, Jose Capablanca (1888-1942) attended the opening of the Rice Chess Club where he met world champion Emanuel Lasker for the first time. On July 28, 1906, Lasker won the 19th New York State Chess Championship at Trenton Falls with 4 wins, 2 draws, and no losses. �In November 1906, Lasker wrote Kampf in German and re-wrote Struggle in English. Both books were published in 1907 by Lasker's Publishing Company on 116 Nassau Street, New York. This is a book on philosophy and the laws governing struggles in general. The 8 chapters were titled: The Problem, Strategy, The Principle of Work, The Principle of Economy, Balance and Advantage, Chance, The Principle of Logic and Justice, and Sufficiency of the Laws. Chess is mentioned a few times. In December 1906, Lasker played in a rapid-transit (20 seconds a move) knock-out tournament at the Manhattan Chess Club in New York with 32 players. Capablanca and Lasker met in the final round in which Capablanca won. It was the first time that Capablanca had beaten Lasker. He had just turned 18. From January to April 1907, Frank James Marshall played Lasker in the 7th world chess championship match. The match took place in New York, Philadelphia, Washington DC, Baltimore, Chicago, and Memphis. The first player to win 8 games would be champion. In 1908, Emanuel Lasker was introduced to Ernst Cassirer (1874-1945), a German-Jewish philosopher, and they discussed philosophy. Edward Lasker was related by marriage to Ernst Cassirer. �In May 1908, Lasker performed several simuls throughout the Netherlands. On July 8, 1908, Lasker signed an agreement to play Siegbert Tarrasch for the world championship title. In preparation for the Tarrasch match, Lasker got help from Heinrich Wolf (1875-1943) and Semion Alapin (1856-1923). The acted as seconds for Lasker. In addition, he was supported locally by his brother, Berthold, who ran a demonstration board during the match. In August-September 1908, Dr. Siegbert Tarrasch played a chess match Lasker for the world championship. The match was played in Duesseldorf (first 4 games) and Munich (games 5-16, starting on September 1). The first player to win 8 games (instead of 10) would be World Champion. Lasker was convinced that Tarrasch had hypnotic powers and wanted to play the match from a different room (Tarrasch was a medical doctor who specialized in hypnosis). Tarrasch refused to shake hands during the match, made a stiff little bow at the beginning of the match, and said "To you, Herr Lasker, I have only three words to say: "Check and mate." Alexander Alekhine, age 15, traveled from Russia to Duesseldorf and Munich to observe the Lasker-Tarrasch world championship match. In December 1908, Lasker defeated the strongest Dutch master, Abraham Speijer (1873-1956), in a match held in Amsterdam. Lasker won 2, drew 1, and lost none. �In March 1909, Lasker, representing the United States, tied for 1st place with Akiba Rubinstein at St. Petersburg (Chigorin Memorial). He won 13, drew 3, and lost 2. He then published a book on the tournament. �In May 1909, Lasker played David Janowski (1868-1927) in an exhibition match held in Paris. The match was drawn with 2 wins and 2 losses each. They divided the purse of $500. In Oct-Nov 1909, Lasker played David Janowski in another exhibition match held in Paris. The match was sponsored by the Dutch painter Leo Nardus (1868-1955), who paid Lasker 7,000 francs to play. Lasker won the match with 7 wins, 2 draws, and 1 loss. Nardus continued to support Janowski, until one day, Nardus suggested an alternate move or analysis in one of Janowski's post-mortem games. Janowski called Nardus an idiot in front of the crowd. Nardus never gave Janowski any financial support after that. In January 1910, Carl Schlechter (1874-1918) challenged Lasker. The 9th world chess championship match was played in Vienna and Berlin. The winner would be the player with the best score after 10 games (the shortest match of any world chess championship). It was supposed to be a match of 30 games, but lack of funds kept it shorter. The match was drawn (1 game won by each player and 8 draws). Lasker had to win the final 10th game to hold his world championship title. Schlechter needed only a draw in the last round to win the match. During that last game, he was winning, but eventually lost the game in 71 moves and the match. Lasker received 1,000 marks for each game played. After the match, the public decided to call this match a world chess championship match. There is little evidence that Lasker considered this a world championship match where he would lose his title if he lost this short match. No contract has ever been found to prove this was a world championship match. The American Chess Bulletin of 1910 stated that the two players agreed to play a series of games, but the result would not affect the world championship title. However, The New York Times reported that Lasker retained the title of chess champion of the world after the match. It stated that Schlechter had challenged Lasker for the world championship title, and that the final game decided the championship. If the game had been drawn, Schlechter would have been the world champion. Also, the Brooklyn Daily Eagle reported that Lasker left the United States in 1909 with the plans of completing a book on the St. Petersburg Chess Congress and complete the details of his match of 30 games with Carl Schlechter for the world championship (source: Brooklyn Daily Eagle, Jun 27, 1909). On May 20, 1910, Lasker sailed for Buenos Aires, South America. He played at least 75 games in Buenos Aires. In June 1910, Lasker gave two lectures at the Club Argentine de Ajedrez in Buenos Aires, one devoted to Paul Morphy (1837-1884), and the other to William Steinitz. The lectures were later published in one of the local newspapers, such as La Nacion. Lasker gave at least 3 simultaneous exhibitions in Buenos Aires. In August 1910, Lasker visited London and Paris upon his return from South America. He then went to Berlin to prepare his world championship match with David Janowski (1868-1927). At first, he was prepared to play Schlechter again, by Schlechter planned to visit America. In November 1910, Lasker announced his engagement to Martha Bamberger Cohn (1867-1942). They would be married in Berlin and planned to spend their honeymoon in America. In February 1911, Lasker was invited to play in the San Sebastian, Spain international chess tournament. Lasker was unable to attend, making room for Jose Capablanca to play in the event, which he did and won. If Lasker had shown up, Capablanca would not be invited to play. On July 1, 1911, at the age of 42, Emanuel Lasker married Martha Bamberger Cohn in Berlin and became a husband, father, and grandfather at the same time. His wife was a year older than Lasker, widowed (Emil Cohn owned the Trautweins's piano factory and died on Dec 18, 1909), rich, and already a grandmother. Martha had a daughter from her first marriage, Charlotte Lotta Cohn, from her previous marriage. Charlotte later moved to Chicago. The Laskers lived in Thyrow, an hour's journey from Berlin where he acquired a house, a garden, and a big dog. It was here, in 1913, that he wrote Das Begreifen die Wielt (Understanding the World). Martha wrote popular stories under the pseudonym, "Lia Marco." �In 1911, Lasker invented a game called Lasca (Laska) and took a patent out on the game. It is played with checker pieces played on a 7x7 board. The game was derived from American Checkers and a Russian game called Bashni (Tower). Before Lasker had his new game published, he submitted it to his mathematician friend Pierre Joseph Henry Baudet (1891-1921) for evaluation. Baudet played it and soon mastered the game. After its invention, Laska was played by Tarrasch, Edward Lasker, and others. All seem to have received it favorable, but somehow the game never caught on. The game Lasca was first marketed by CET and Co. In the early 1970s, there was a short-live organization called the "Laska Association," at Clare College, Cambridge. In October 1911, Capablanca challenged Lasker for the world championship. Lasker made 17 demands. Among them, Lasker wanted the match limited to 30 games; first person winning 6 games would be world champion, draws not counting. The challenger also had to win by 2 games to claim the world championship title. Lasker also wanted Capablanca to put of $2,000 in forfeit money (over $194,000 in today's currency). In former matches, the amount was $500 in forfeit money. Lasker also wanted the time control to be 12 moves an hour and an adjournment after 5 hours of play. Lasker also stipulated that all the games would be the property of Lasker. (source: New York Tribune, Nov 23, 1911, p. 8) Capablanca objected to the time limit of 12 moves and hour (too slow) and other conditions. Lasker resented the tone of Capablanca's letter about the conditions, so Lasker broke off the negotiations. Lasker wrote to Mr. Shipley, "By his [Capablanca] letter to me, Capablanca has aimed a deliberate blow against my professional honor. I therefore broke off all direct negotiations with him." (source: Brooklyn Daily Eagle, Mar 12, 1912, p. 20) The two were not on speaking terms for two years, and it would be 10 more years before the two of them agreed to the conditions of a match and play for the world championship in 1921. Lasker then accepted a challenge from Akiba Rubinstein, but Rubinstein was unable to raise enough money for the match. On November 11, 1911, Lasker gave a 21-board simul at the Franklin Chess Club in Philadelphia. He won 17, drew 2, and lost 2. On November 22, 1911, Lasker left New York on the S.S. Mauretania and returned to Europe and settled in Berlin. He declined to accept Capablanca's challenge for a world championship match. In 1912, Lasker purchased a strip of land 20 miles from Berlin. He wanted to plant his own garden, grow his own cabbages, dig is own potatoes, and breed poultry. He used the time for writing. In 1913, Lasker's 491-page book, Das Begreifen der Welt (The Understanding of the World), was published by Hans Joseph. On March 28, 1914, Lasker first played Alexander Alekhine in an exhibition game in Moscow. The game was drawn in 16 moves as it led to perpetual check.� Alekhine had White and played a Scotch Game.� Lasker proposed the draw and Alekhine accepted. In April-May 1914, Lasker took 1st place at St. Petersburg, organized by the wealthy St. Petersburg Chess Club. In the preliminary rounds, Lasker won 4, drew 5, and lost 1. In the final, Lasker won 6, drew 2, and lost none. Nicholas II, Czar of Russia, conferred the title of Grandmaster of Chess to Lasker, Alekhine, Capablanca, Tarrasch, and Marshall. These were the original five grandmasters. Lasker was paid 4,000 rubles as an appearance fee. This was the first time a chess player received an appearance fee. This was also the first time in five years that Lasker played in a chess tournament. (source: Brooklyn Daily Eagle, Apr 23, 1914) At the end of the tournament, there was a banquet in which the Czar was present and Mrs. Lasker, Martha (Lia Marco) recited her own poems. �After St. Petersburg, Lasker and his wife went to Switzerland to take a much-needed rest. In July 1914, Lasker was a guest of honor in Mannheim, the 19th German Chess Federation Congress. Lasker left the event before World War I broke out on August 1, 1914. Just before World War I, Lasker was supposed to play Akiba Rubinstein (1880-1961) for the World Championship. Capablanca planned to play the winner. World War I interrupted these matches. In September 1914, Lasker was a member of the Berlin Chess Society and editor-in-chief of their chess magazine. During World War I, Lasker (along with Akiba Rubinstein) invested all of his money in German war bonds. At the end of the war, he had lost all his money and savings. During that period, he wrote a book declaring that Germany had to win the war if civilization were to be saved, and he applauded the politics of Wilhelm II. �In November-December 1916, Lasker defeated Siegbert Tarrasch in a match held in Berlin. He won 5, drew 1, and lost none. �In Oct 1918, Lasker won at Berlin with 3 wins, 3 draws, and no losses. In November 1918, Dr. Albert Einstein (1879-1955) met Dr. Emanuel Lasker in Berlin at the house of philosopher Alexander Moszkowski (1851-1934), and they became good friends, even sharing an apartment. Einstein was not a good chess player. Lasker thought that Einstein's theory of relativity was wrong and that the speed of light was limited due to particles in space and that there is no perfect vacuum. After World War I, Lasker tried to breed pigeons for the Berlin Pigeon Fair, He had studied many books about the breeding of pigeons and thought he could win medals at the Berlin Poultry show. However, all the pigeons Lasker bought were male. In 1919, he wrote the 624-page Die Philosophie des Unvollendbaren (The Philosophy of the Unattainable). Albert Einstein (1879-1955) expressed interest in Lasker's work, calling the book, "a lively interest in all the problems that bedevil mankind," and "a most original work." In November 1919, Capablanca received a letter from the Dutch Chess Federation, asking him whether he would be willing to play a match with Lasker and under what conditions. Capablanca replied by return mail that he was willing to play, but did not list any conditions until he had a chance to meet with Lasker to discuss it. After Lasker renounced his title, Capablanca was calling himself and putting it writing that he was the Chess Champion of the World. On February 16, 1921, Lasker sailed from Amsterdam directly to Cuba aboard the ship S.S. Hollandia. Lasker arrived in Havana on March 7, 1921. In March-April 1921, Jose Capablanca played Lasker for the world championship title. The 11th world championship match was held in Havana. The championship was set to last for 24 games: the first player to accumulate 12 1/2 points (or win eight games) would be World Champion. Lasker had won the previous championship, but he resigned it in 1920, meaning that technically he was the challenger and Capablanca the incumbent for this match, even though the two had never met in a title match before. The games were played on the same table that was used by Steinitz and Chigorin in their world championship match in Havana. The games started at 9 pm at night to take advantage of the cooler evening. The first game was played on March 15, 1921, in the halls of the Union Chess Club. There was no opening ceremony. They drew for colors and Capablanca chose the White pieces for the first game. It was drawn in 50 moves. After game one in the Lasker-Capablanca match at the Union Club, the remaining match was played at the Casino de la Playo in Havana. Capablanca won 4 games and drew 10 games before Lasker finally resigned without winning a single game, claiming poor health. The match lasted 37 days (24 actual playing days) with 576 moves made. Lasker was paid $13,000 (over $150,000 in today's currency) for playing in the match, more than what Capablanca got as the winner ($12,000). The referee to the match was Julius Finn (1871-1931). Lasker had been world chess champion for 26 years and 337 days (from May 26, 1894 to April 21, 1921), the longest reign of any world chess champion. Lasker had 52 career wins in world championship play. He played in 8 world championship matches. �In 1922, Lasker wrote My Match with Capablanca. In it, he believed that chess would exhaust itself in short order and that draws would kill chess. A few years later, he changed his mind, regarding the future of chess more optimistically. He did not think chess was close to being played out to a draw. �In July 1923, ex-world champion Lasker won at Moravska Ostrava with 8 wins, 5 draws, and no losses. �From 1895 to 1924 he won or tied for first place in eight of the 10 major chess championships he played in. The other two, he took 2nd place and 3rd place. �In March-April 1924, Lasker, age 55, won the New York International, ahead of world champion Capablanca and Alexander Alekhine. He won 13, drew 6, and lost 1 (to Capablanca). Lasker got $1,500 (equivalent to $21,000 in today's currency) for his first prize and a generous payment for expenses, and still complained. The tournament was held at the Hotel Alamac, corner of Broadway and 71st Street, in Manhattan. After the tournament, Lasker gave simultaneous exhibitions around the United States, until he returned to Germany in June. �In 1925 he wrote Lehrbuch des Schachspiels (Manual of Chess). He re-wrote it in English in 1927 as Lasker's Manual of Chess. He dedicated the book to his wife, Martha. It read, "To my dear wife, who has shared with me everything in life, together with her, with a sense of humor." In Nov-Dec 1925, Lasker took 2nd, behind Efim Bogoljubov (1889-1952), at Moscow. He won 10, drew 8, and lost 2. Lasker was the first foreign master to make a guest appearance in Soviet Russia after the October Revolution. Lasker would not play serious chess for another 9 years. In September 1927, Lasker's book, Lasker's Manual of Chess, was published in English. In 1928, Lasker wrote Die Kultur in Gefahr (The Culture in Danger), published in Berlin. In the book, he argued that the theory of relativity as a whole, as a system of explanation of reality, was erroneous both in its method and it its results. On October 19, 1928, Emanuel Lasker's older brother, Dr. Jonathan Berthold Lasker (1860-1928), died in Berlin. He was buried at the Judischer Friedhof Weissensse Cemetery, Weissensee, Pankow, Berlin. In 1930, Lasker was a special correspondent for Dutch and German newspapers. 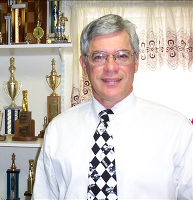 He reported on the Culbertson-Buller bridge match. Ely Culbertson (1891-1955) gave him a teaching diploma in bridge. In the early 1930s Lasker became an international bridge player, representing Germany in international events. He became a Life Master in bridge and was the team leader of the German team at the Bridge Olympics. Lasker was not a strong bridge player. He was not an agreeable playing partner and had problems losing gracefully. �In 1931, Lasker wrote a book called Popular Board Games. In 1931, Lasker contributed to a book called Hundert Autoren gegen Einstein (Hundred Authors vs. Einstein). Lasker argued that Einstein's deduction of relativity overlooks the experience of empty space and that the speed of light was not constant. He said the Einstein's method of deduction was thoroughly indecisive and the method of dispute that Einstein followed was unimportant. Lasker also complained this his critical publications on relativity were not received by the relativists. In 1932, W. H. Watts published a new, English edition of Lasker's Manual of Chess. �In 1933 he was driven out of Germany because he was a Jew. He was the grandson of a rabbi. All of his property in Berlin was confiscated as well as a farm he owned. In late 1933, Lasker moved to England. In 1934, Lasker wrote Lasker's Chess Primer. �In July-August 1934, after 9 years of retirement, Lasker, age 65, took 5th at the Zurich International tournament. He won 9, drew 2, and lost 4. After 7 rounds Lasker was tied for the lead with Flohr at 5� points. At age 65 and being out of practice, Lasker was at a disadvantage in a long tournament and lost in rounds 8, 10 and 12 to Bogoljubov, Nimzowitsch, and Alekhine to finish at a very fifth with 10 points. This was the only time that Alekhine beat Lasker, and the first time that Bogoljubov and Nimzowitsch did so. The event was won by Alexander Alekhine. Up to 1934, neither Lasker nor Capablanca had ever finished below 3rd in chess tournament play. But in 1934, Lasker finished 5th at Zurich, his poorest tournament performance up to that date. In 1935, Capablanca finished 4th at Moscow, his poorest tournament performance up to that date. �In 1935 Lasker moved to the USSR. He had been invited to the Second Moscow International Tournament by Nikolai Krylenko (1885-1938), the USSR Minister of Justice, and took 3rd place at the age of 66. He won 6, drew 13, and lost none. The tournament took place from February 15 to March 15, 1935. He was then invited to become an honorary member of the USSR Academy of Sciences, which he accepted, and took permanent residence in Moscow. He became involved in mathematical studies and was offered a professorship at a university. He played chess with Ivan Vinogradov (1891-1983), the director of the Institute of Mathematics, and with David Oistrakh (1908-1974), the famous violinist. After it was learned that Lasker's home in Germany was smashed up by the Nazis, Krylenko wrote to Stalin requesting that Lasker should have the right to stay in the USSR and be given an apartment. The request was granted and Lasker received an apartment in Moscow's Great Spasso Glinichtchevsky Lane No. 8. His apartment became the meeting point for many Russian chess players and mathematicians. �At the end of 1935 Lasker went to Holland to cover the world championship match between Alekhine and Euwe for the Russian newspapers. �In 1936, Lasker gave a short talk in Russian at the Young Pioneers' Club about the studies of chess composer Alexei Troitsky (1866-1942). 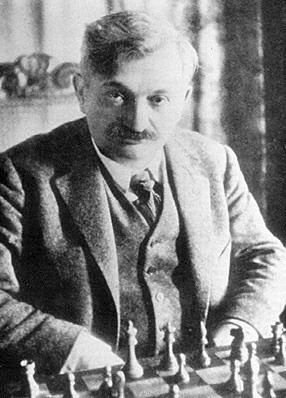 Lasker inspired several boys to become strong chess players at that meeting, including Yuri Averbakh (the world's oldest grandmaster) and Vladimir Simagin. In May 1936, Lasker took 6th in the 3rd Moscow International tournament. The event was held at the Hall of Columns in Moscow. He won 3, drew 10, and lost 5. The tournament was won by Jose Capablanca. �In August 1936, Lasker played in the Nottingham International, which he took 7th place. He won 6, drew 5, and lost 3. Lasker played under the Soviet sickle-and-hammer flag, representing the USSR. This was Lasker's last major event. In August 1937, Emanuel and Martha Lasker left the Soviet Union for the Netherlands. His patron in the USSR, Nikolai Krylenko, was condemned as a traitor and later executed in a purge. Lasker feared for his life and left the USSR, despite doctors telling him that his wife was too sick to travel. In October 1937, Lasker moved to Manhattan, New York. He was able to immigrate to the United States by telling the authorities that his step-daughter, who was living in Chicago, and wanted to be re-united with her mother. Lasker lived at 610 W. 139th Street, Apartment 3C, in Manhattan. On Nov 19, 1937, the Laskers celebrated Martha's 70th birthday in Chicago with her daughter and grandchildren. In 1938, Lasker was upset at not being invited to participate in the AVRO tournament in the Netherlands, which was held from November 6 through November 27, 1938. He felt that his own record in tournament play against the leading world masters was enough to qualify him as a candidate who ought not to be overlooked (source: Chess Review, Jan 1938, pp. 14-15). Paul Keres and Reuben Fine tied for first place at AVRO. On December 24, 1938, Lasker celebrated his 70th birthday at the home of Harold M. Phillips (1874-1967). Also, there the celebrate Lasker were Arnold Denker (1914-2005), Reuben Fine (1914-1993), Irving Chernev (1900-1981), and Dr. Joseph Platz (1905-1981). �In 1939 Lasker was suffering from kidney problems and ill health. During one of his chess lectures, he got too sick to continue the lecture. Irving Chernev took over for him. �In 1940, Lasker wrote his last book, The Community of the Future, 295 pages, in which he tried to put down his idea of an ideal society. He proposed solutions for serious political problems, including anti-Semitism. and unemployment. �In May 1940, Lasker agreed to play an exhibition match with Frank Marshall. After two games, both players had won one game each. But Lasker had to cancel the rest of the match due to illness. On January 10, 1941, one day before Lasker died, he was visited by Reuben Fine and his wife. A condolence letter was sent to Martha Lasker by Albert Einstein, when Emanuel Lasker died. He was buried at the Beth Olom Jewish Cemetery in Ridgewood, Queens County, New York. From 1892 to 1924, he won 12 of 14 tournaments, placing 2nd and 3rd in the other two. From 1889 to 1916, he won 20 of 21 matches (the other one drawn). �Lasker's winning percentage is the highest of any world chess champion: 66%. He won 52 games, drew 44, and lost 16 in world championship play. His calculated ELO rating is 2720. �Lasker played in more chess tournaments in Russia than in any other country. Lasker visited Russia 10 times between 1895 and 1937, playing in all the strongest chess tournaments. The February 1941, issues of The Chess Review was called the Dr. Lasker Memorial issue. In March 1941, a Lasker Memorial Fund was established. A 109-board simul was held at the Congress Hotel, played by Frank Marshall, Samuel Reshevsky, Reuben Fine, Isaac Kashdan, and Albert Pincas. From March 18-23, 1941 Alexander Alekhine wrote six Nazi articles which first appeared in the Paris newspaper Pariser Zeitung. He wrote a series of articles for Die Deutsche Zeitung in den Niederlanden called "Jewish and Aryan Chess." The articles were reproduced in Deutsch Schachzeitung. The articles tried to show proof that Jews played defensive, cowardly chess and the Aryan chess players played attacking chess that was aggressive and brave. He had hoped that after the death of Lasker, Lasker would be the last Jewish chess champion of the world. �Lasker's wife, Martha, died on October 18, 1942 in Chicago, Illinois. On April 9, 1943, Theophilia Hedwig Lasker (1862-1943), sister of Emanuel Lasker, died in a gas chamber at the Sobibor extermination camp in Poland. She was the ex-wife of Hermann Rochotz and the wife of Ludwig Leon Oppenheimer. On August 20, 1950, five chess stamps were issued in Yugoslavia to commemorate the 9th Chess Olympiad in Dobrovnik. One of the stamps shows incorrectly a position from the game Capablanca-Lasker, New York 1924. Lasker's bishop should be on the g8 square and not the f8 square. In October 1952, Dr. Albert Einstein contributed a forward about Lasker in the book Emanuel Lasker: The Life of a Chess Master by Jacques Hannak, published in 1952. �In 1968, East Germany issued a stamp with Lasker's portrait in honor of the 100th anniversary of Lasker's birth. There are now 23 countries that have issued over 50 postage stamps with a portrait of Emanuel Lasker on it. On January 13, 2001 Yugoslavia issued a series of stamps commemorating Emanual Lasker's 60th anniversary of his death. �In 2001, Emanuel Lasker was inducted into the World Chess Hall of Fame. 2018 is the 150th anniversary of Emanuel Lasker's birth. FIDE announced that the year 2018 as the year of Emanuel Lasker. In January 2018, an International Chess Festival, the Emanuel Lasker Memorial, was held in Gorzow Wielkopolski to celebrate the 150th anniversary of Emanuel Lasker's birth.